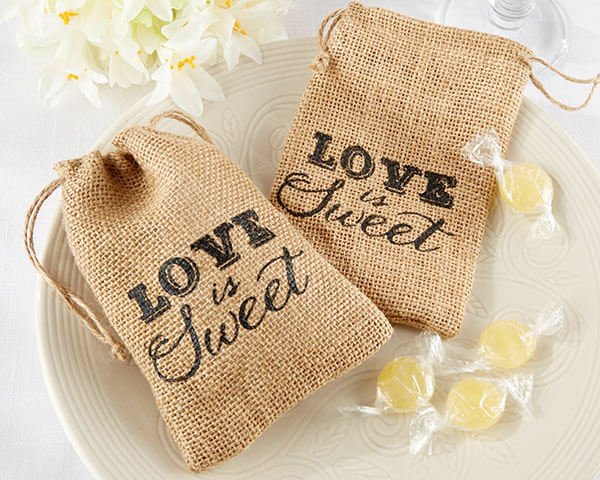 Take your family and friends on a sentimental journey when you thank them with a time honoured sentiment like these love is sweet burlap favour bags. Love is sweet, just like the warm, folksy ambience you’ve created for your special event, and it goes fabulously with this burlap favour bag! These gorgeous burlap favour bags are sure to add the perfect touch to your event. Thanks Emma. The favours were a hot selling item at our Mother's Day stall. Thank you too for delivering them to me it was much appreciated. You have such lovely favours which can obviously be used at a wide range of special occasions!! !